Welcome to SoCal Home Inspections! My name is Peter Manjuck. I'm a CREIA Certified Home Inspector and a NACHI Certified Master Inspector. As a CREIA and NACHI member, I'm bound to the highest standards in the industry. I'm continually learning the latest code changes, recalls, and safety announcements in order to give my clients the most value with their home inspection. With every inspection that I perform, I do everything in my power to make sure that my clients receive a thorough, unbiased evaluation of the home with the most accurate, updated information available. I'm here to report the current physical condition of the home so that my client can make a more confident and well-educated decision on their purchase. I'm thorough, accurate, and honest. I'm looking out for you! You'll know you made the right choice with SoCal Home Inspections. Choosing the right home inspector can be difficult. Unlike most professionals, you probably will not get to meet me until after you hire me. Furthermore, different inspectors have varying qualifications, equipment, experience, reporting methods, and, yes, different pricing. One thing for sure is that a home inspection requires work -- a lot of work. Ultimately, a thorough inspection depends heavily on the individual inspector’s own effort. If you honor me by permitting me to inspect your new home, I guarantee that I will give you my very best effort. This, I promise you. NACHI Certified Master Home Inspector - Received a Lifetime Membership! 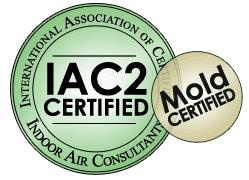 25 Years Industrial Experience, Certified Home Inspector. Graduate of Allied Home Inspection School and ITA (a Kaplan school) with advanced training in Pools & Spas, Tile Forensics, Mold Testing and also Commercial Buildings. Peter has performed thousands of inspections in San Diego and is available to give presentations on the topic of home inspections.